Many thanks to Wendy at Spread Change for the link to my blog today. Spread Change is a great site dedicated to budget philanthropy, so go check it out and do some good in the world! I must say that having a link to my blog makes me want to clean this place up a bit, squirrel away any rants or silly things, and perhaps write something important. There is so much pressure to be clever with blogs, message boards and all the social networking sites. Sometimes it feels like I’ve wandered into a happy hour with all the cool, hip people online. I flounder to find the small talk that marks me as interesting, yet of course, not seemingly like I care if I am interesting. The perils of this brave new world online. I am currently working on creating a website. This has been a fun refresher in xhtml and coding everything by hand instead of relying on a WYSIWYG editor. Websites are better with images so I’ve been going through my photos from the last few years, and looking for nice shots that I can use. In this process I’ve noticed that I have a habit of visiting places and pointing my camera up, down and noticing all the small details of a space. I am also drawn to similar shapes. 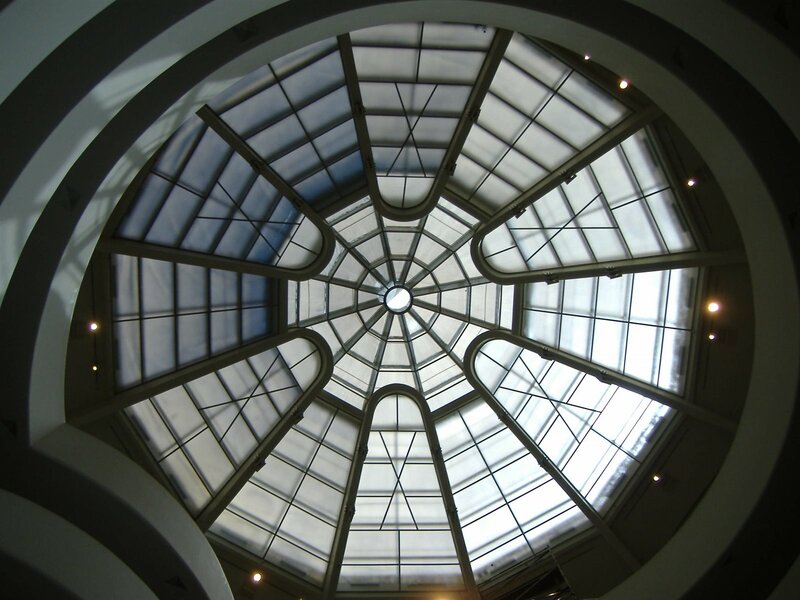 This is the ceiling view inside the Guggenheim Museum in New York City. 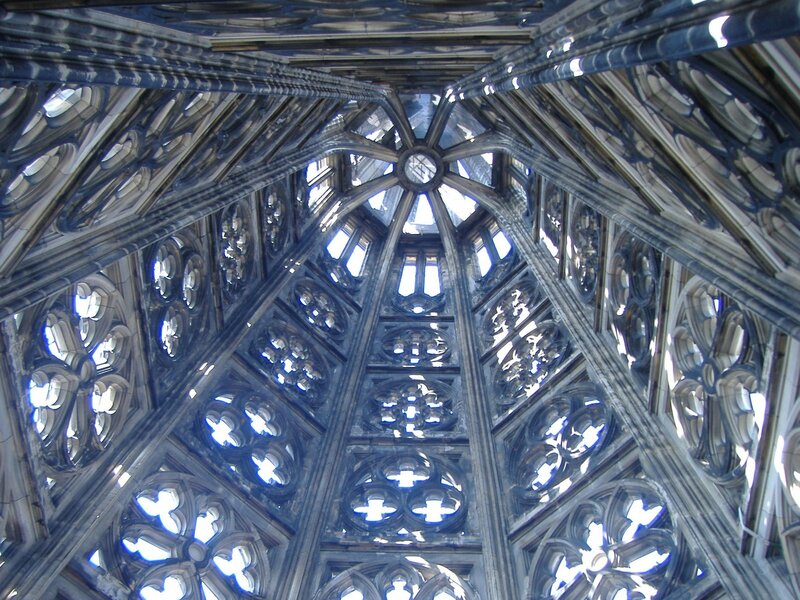 This is the view, straight above, inside the Cologne Cathedral in Germany. This is inside the Museum of Modern Art, San Francisco. 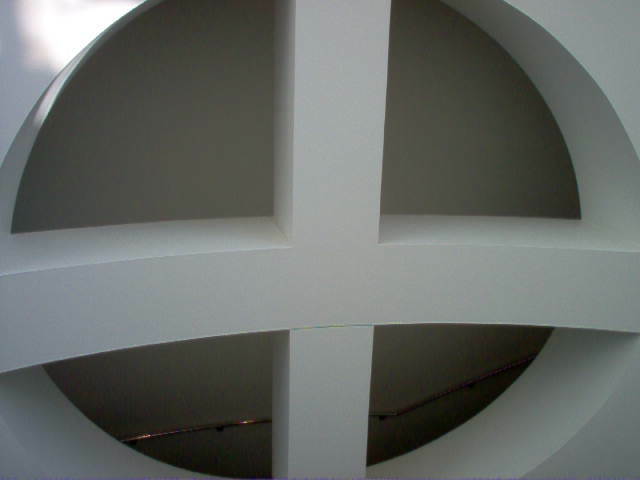 Finally, this is looking down to the floor of a church in Jerusalem, near the Garden of Gethsemane. I love circles and geometrical patterns. 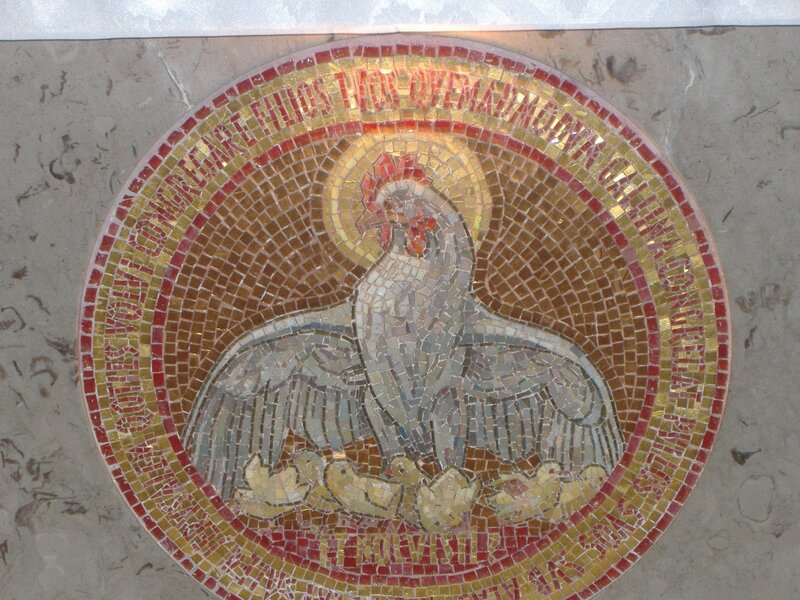 I love how this common element reappears across all continents and cities, the beauty can be found in the mosaic of the rooster or the grand windows of the cathedral. It is funny because my husband was my companion in all these locations, but he looks at these same photos and asks, “Where was that?” We all notice different things, different details. Sometimes it really is the little things. love the pics! I’m about to start brushing up my never-fluent html and code a website as well. I figure it’s time to get an author website. That is, if I ever get around to it in my busy schedule of waiting for agent responses that never come 😉Can’t wait to see the site when it’s up!